SCA has extensively used Revit since the beginning of Revit Structure. We were one of the original beta testers with Autodesk for Revit Structure. 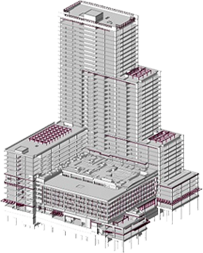 Our concrete Revit models are constantly noted by our clients to be among the best they have worked with. Autodesk has featured our Revit design capabilities http://images.autodesk.com/apac_anz/files/sca_final.pdf. Currently over 90% of the projects produced in our office are drawn 100% in Revit. 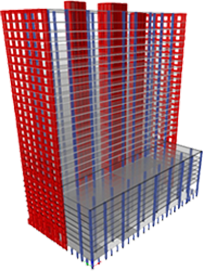 SCA uses the latest finite element analysis tools to design our concrete structures. We use the full suite of Adapt concrete design software and have consistently over the years been asked to beta test new software and provide input on its development. Relationships with software developers is very important to SCA in helping us keep up with the latest and most efficient design tools available. SCA uses a host of state of the art software from Bentley, CSI, CSC, Risa and others to efficiently and effectively design our building structures. 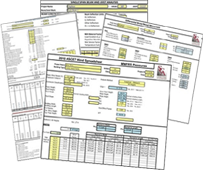 With the addition of numerous specific task written spreadsheets SCA provides efficient and accurate designs for our projects. SCA has developed in house software driven by Excel Spreadsheets to efficiently and effectively design our wood structures. Our wood design software does not design only typical wood members, but every single member and then optimizes the design. This allows us to design the entire structure and have a very cost effective design based on a complete design, not one that is based on a handful of typical designs. SCA works on projects across the US and North America and we are very familiar with national and local building codes. 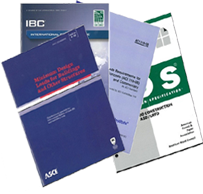 We are constantly working with our clients and building officials to provide effective and efficient designs based on the latest building and material codes.